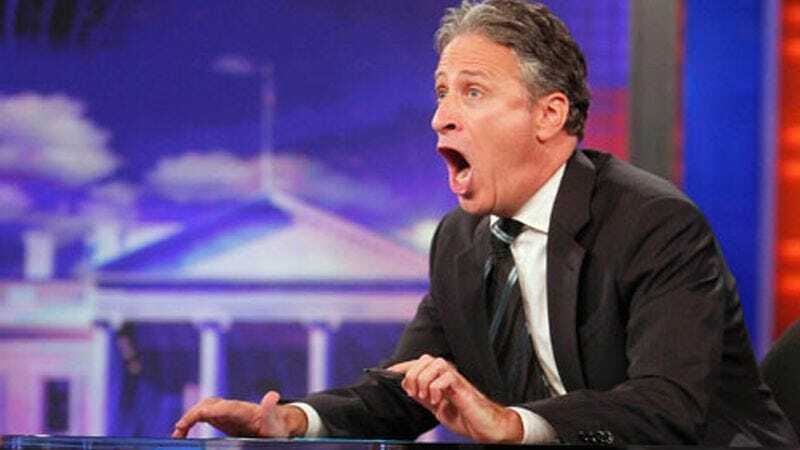 In what’s rapidly becoming a classic “Just when I thought I was out, they pull me back in” situation, over 100,000 surprisingly vindictive Daily Show fans are trying to force Jon Stewart to moderate a presidential debate. The man just spent the last 16 years of his life talking about all of the stupid stuff that happens in politics—and he even suggested that the upcoming election is one of the reasons why he chose to leave The Daily Show—but these monsters want to toss him right back into it? No, this is too mean. Jon Stewart deserves a break! Anyway, this all comes from one of those pesky Change.org petitions, which is arguing that Stewart’s many years interviewing political figures on The Daily Show makes him especially qualified to moderate a presidential debate. Plus, his show won Peabody Awards for its election coverage, and he’s clearly a trusted and well-liked public figure, so there’s a good chance that voters would actually want to hear the sort of things he’d ask the presidential candidates. As of right now, the petition has 114,736 signatures, with no sign of slowing or stopping. We just hope everyone is ready to apologize to him for ruining his retirement.